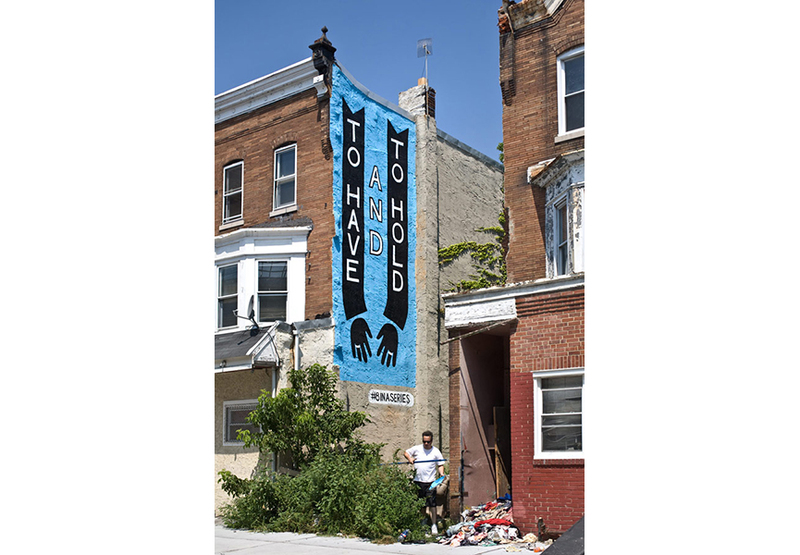 Combining community activism and public art, Powers and his team of sign mechanics collaborated with a neighborhood’s residents to create site-specific murals and billboard-sized pronouncements that evoke slogans, messages and moving affirmations. The project addressed the complexities and rewards of relationships. 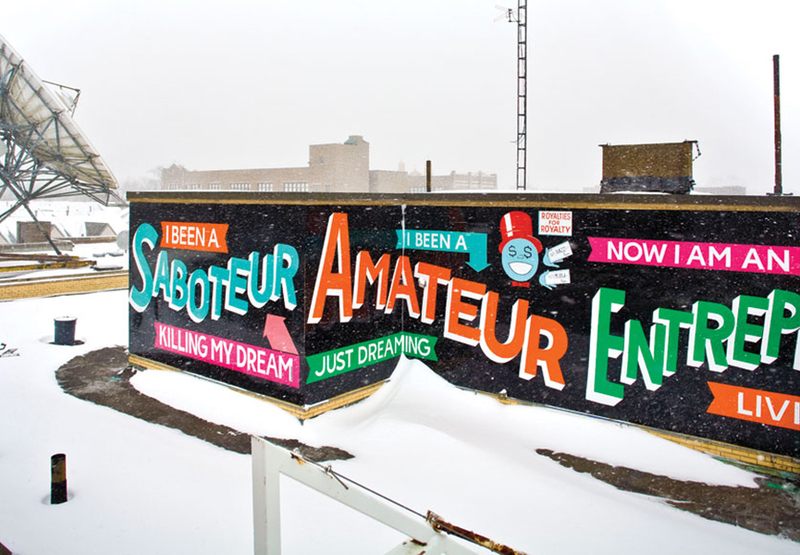 For many inhabitants, Stephen Powers’ murals humanize the anonymity of their urban landscape. 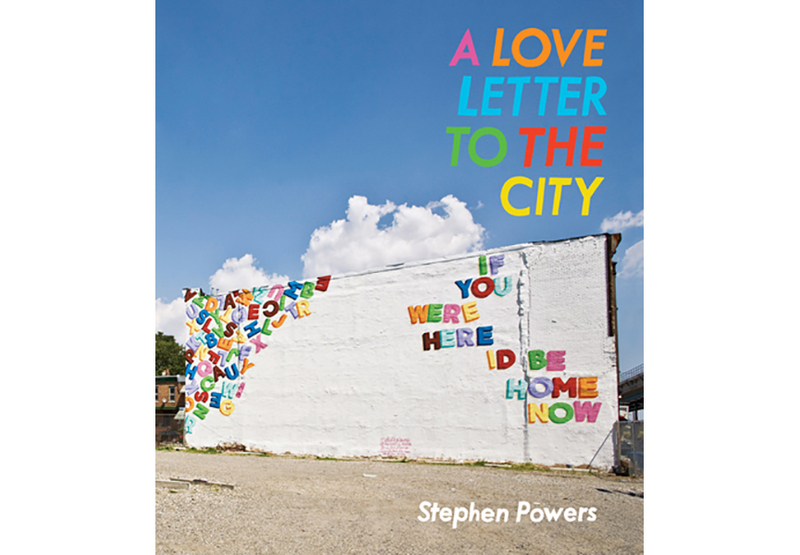 Now, for the first time, all of them are gathered in A Love Letter to the City which will be released this month at Princeton Architectural Press. There’s a good reason why you should buy this book. It is full of photos of Powers’ large-scale works and more. The book is an extensive photo documentation of each project, including images of source materials, sketches, pictures of the process of creating murals, as well as anecdotes from the spot. 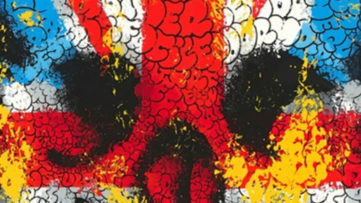 You can also find stories from Powers’ about his experience in the graffiti and street art scene. As you surely well know, this is not his only book. 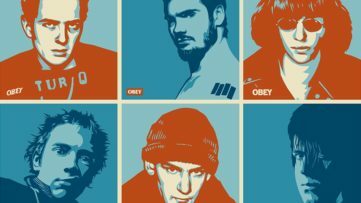 Powers is also the author of a book on graffiti’s history, The Art of Getting Over, as well as the graphic novel First and Fifteenth: Pop Art Short Stories. 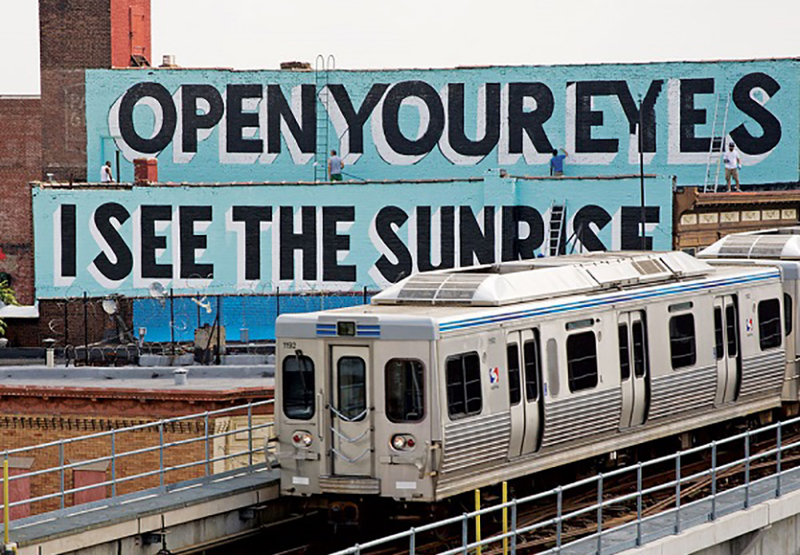 Stephen Powers was best known during the 1990s by his graffiti tag ESPO painted across the walls and rooftops of his native Philadelphia, as well as for his role as the editor and publisher of On the Go Magazine. In 1997 ESPO went nuts. He began his most ambitious non-commissioned art. 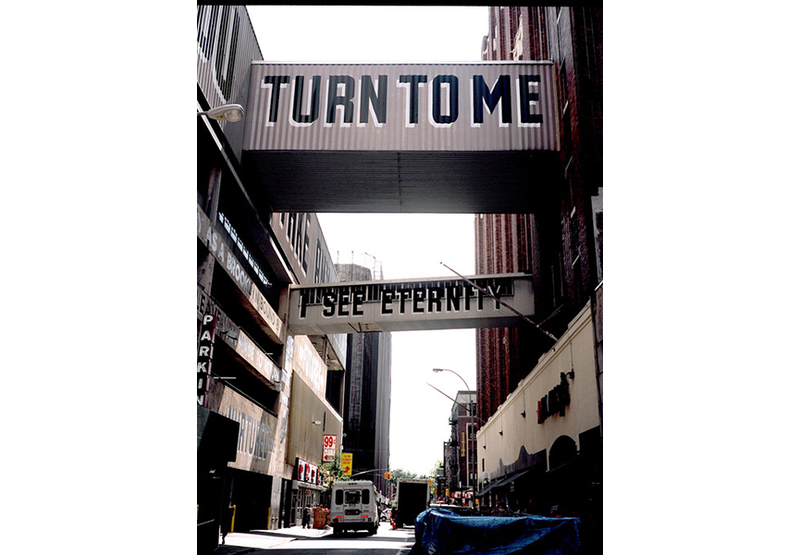 Powers started covering the entire grates in Fort Greene, Bedford-Stuyvesant, TriBeCa and the South Bronx with white or silver paint and then used black to make each grate into a letter in his name. In December 1999, the artist was arrested for graffiti vandalism. 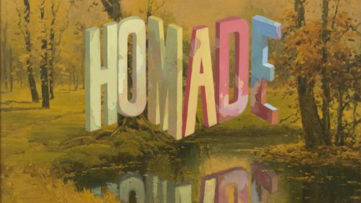 In 2000, Powers gave up graffiti to become a full-time studio artist.